SIX BEAUTY FAVORITES FROM MARCH! Happy Easter! Hope you’re having fun and enjoying the long weekend. Today I’d be sharing six beauty products I enjoyed throughout last month! Most of which are new additions. 1. 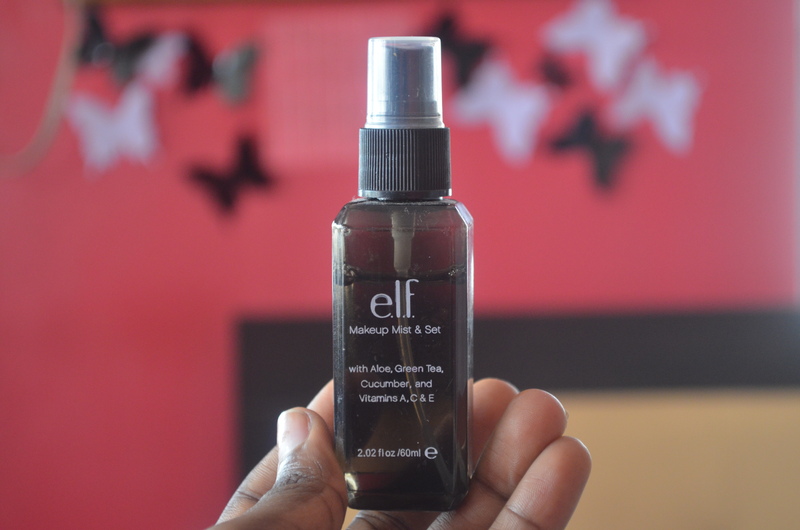 E.L.F MAKEUP MIST AND SET SPRAY : I bought this spray from my beauty joint haul last year, but I hardly ever use it as you see from the image below….. It’s a product I love but for some reason I abandoned it these past months, until recently. It acts as a setting spray after makeup application. I spray it at arm’s length, it first appears wet then dries up in about 30seconds. 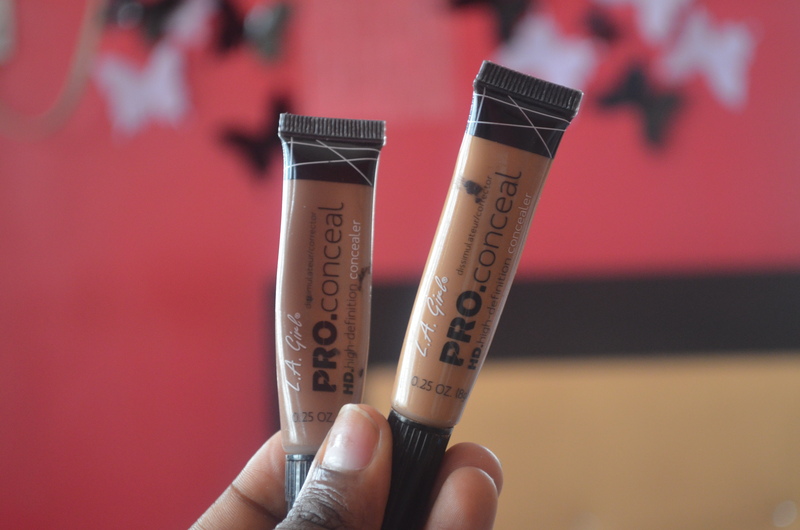 It keeps your makeup longer and leaves your skin dewy. I absolutely love it! Gets a 10/10 from me. 3. 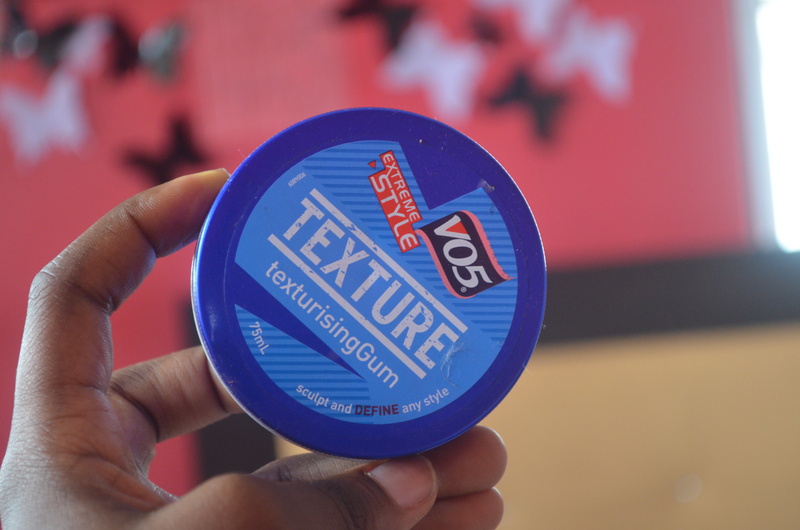 V05 TEXTURISING GUM: I posted this on my Instagram some weeks back. I bought it from Sainsburys in January. Used it once and hated it at first. Apparently I didn’t know how to apply it. It’s one of those things you buy, throwaway and go back to. I revisited it 3weeks back and it had my hair on check. It makes my curls pop, and is best applied with your finger tips then you brush with a soft boar bristled brush. Naturalistas should try this. It costs about £6. Absolutely worth every pence. 4. 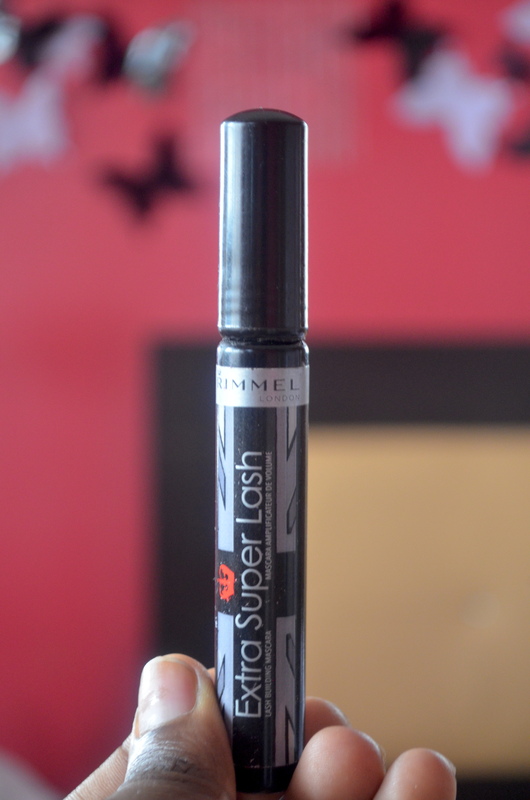 RIMMEL MASCARA: I love eye lashes, just something them. This mascara Not as superb as my Lancôme but they are lovely for everyday wear. The formula elongates your lashes and the brush shape & size allows you to reach your lower lashes aswell. No hair is left uncoated. 5. 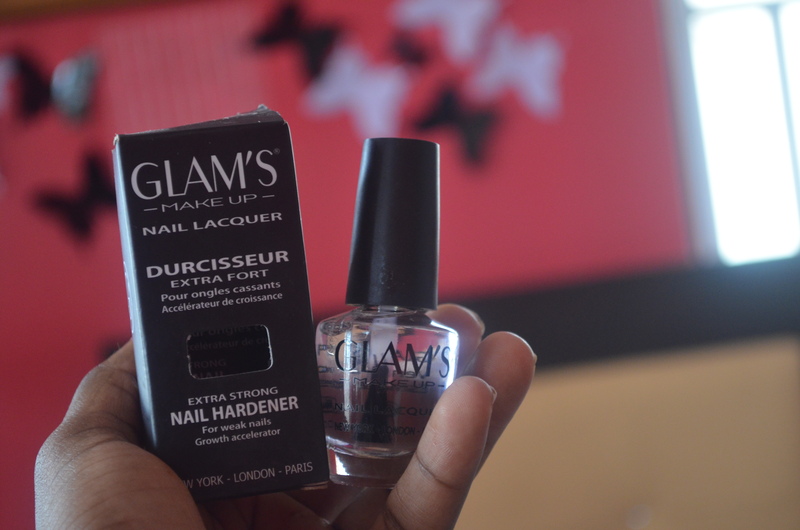 GLAM’S NAIL LACQUER: I went to my aunt’s studio to get my nails done a while back and she suggested I tried this. constant fixing of acrylics make your nails weak. I bought this hardener for N1,200 I.e £5. It’s meant to be applied thrice a week. It strengthens your nail beds and prepares it for the nail fixing process. Works very well! 6. 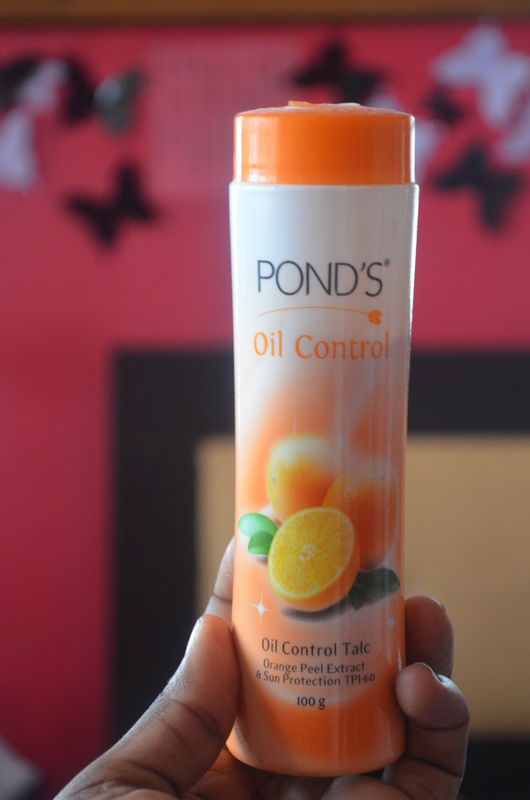 PONDS OIL CONTROL TALC POWDER: This product is straight to the point, and it’s been around for a while. I have some parts of my face that likes to produce oil more than others. E.g my cheeks and above my brows. I really don’t know why…… I’m yet to buy a primer, so on days when I feel a bit oily and I don’t want to touch up with a Brown powder, I apply this lightly with my powder brush. It makes me look fresh and I don’t look white. I also like the smell, very nice. These are all my favourite beauty products from March. Are there any you’ve used amongst them? If yes, share your experiences below and if not tell me which product/s you’ve used, loved and you recommend! Hope your Easter is going great? I’m coming with another post this evening on how I spent this mini break. P.s. My wall paint is from DuluxNigeria in the colour Raspberry Bellini, it’s very bright and is a cross between orange and pink. The texture is Silk/Satin finish. I have the ELF Makeup Mist, and it really keeps your makeup on all day long. Hi Tosin, thank you so much for all you do here. I wanted to encourage you to consider researching into Talc products in general. You may find something about the product that makes you think twice. That ELF mist is a oldie but goodie! Im having a problem with that texturising gum. please how do you use it? my hair isn’t natural so maybe thats why its coming out sticky..